Owning a small business in this day and age is becoming more difficult. The fact is that major franchises, chains and large stores are taking over the little guys out there. Everyday in every small town, people witness the little shops, stores and service providers slipping into the cracks and closing shop. This is sad, especially with all of the tools and resources available on the internet. Using the internet is just another method of advertising, a newer tool in the tool box that these small businesses can use to increase their annual revenue and remain open for business. Not that the internet is a new tool, it’s simply not, but it is new to a lot small business owners out in the country struggling to stay alive. To many small business owners, computers and the internet are a scary and uncharted territory for them. These business owners have a false sense of cost and productivity that having a web presence can bring. Not only is it essential to have a website in today’s changing market, it is essential to have an ecommerce website that sells all of the products and services a business offers. Trends are leaning towards people using the internet as their own personal tool at home to look for the perfect car, house, mop, jewelry, anything really. Sitting at home and browsing is a lot less intrusive than going out in a car to the store, especially with the costs of gas going up, to find exactly what they are looking for. Why not use this semi-new tool, the internet, to grow your business online and reach a much larger target audience for your products and services. 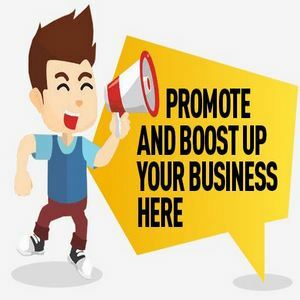 Having an online presence is really not enough of a tool, if you provide either a service or good (merchandise) and it can be used world wide, then you need to present that to the world. You may just find as a small business owner, that providing vital information, services and goods to the larger online public is a very lucrative and smart business decision. How would a small business go about getting an ecommerce developed website? Search that powerful tool again, the internet. Find a reputable web design firm that specializes in ecommerce development and ecommerce shopping cart solutions. Pick a web design firm that provides high quality work, but thinks about designing an ecommerce website driven from just the “design” point of view. Your ecommerce website does need to look professional, but more importantly it needs to flow and function properly. Your visitors should be able to decide from your navigation what area of your website that interests them the most. Your visitors should be able to use your online tools, navigation and shopping cart easily without confusion or error. It is more than important to develop a properly working ecommerce website. If you are not utilizing this great tool, the internet, to your small businesses advantage, then you are most certainly missing out on sales, leads and customers. Owning a small business doesn’t mean you have to fade away when the next big chain store settles in next door to you. Fight back, with the fairest tool around, the internet. Get your small business a website that has the ecommerce power to reach all of your target demographic audience and watch your money roll on in.